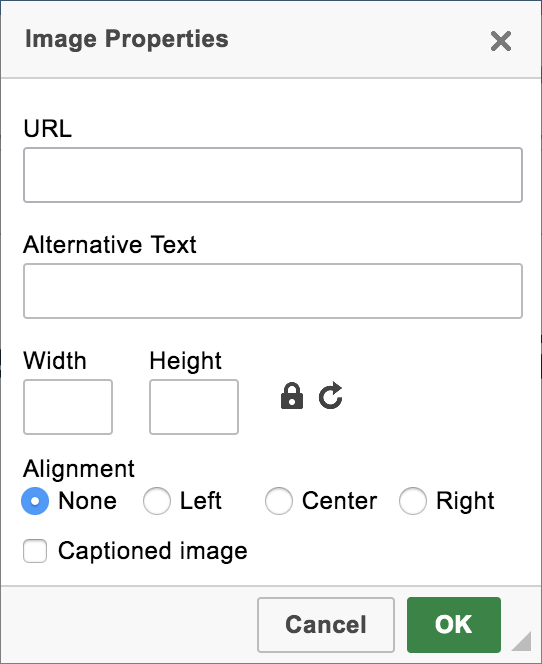 How to post news articles and how to add external links and links to service resources to news articles. 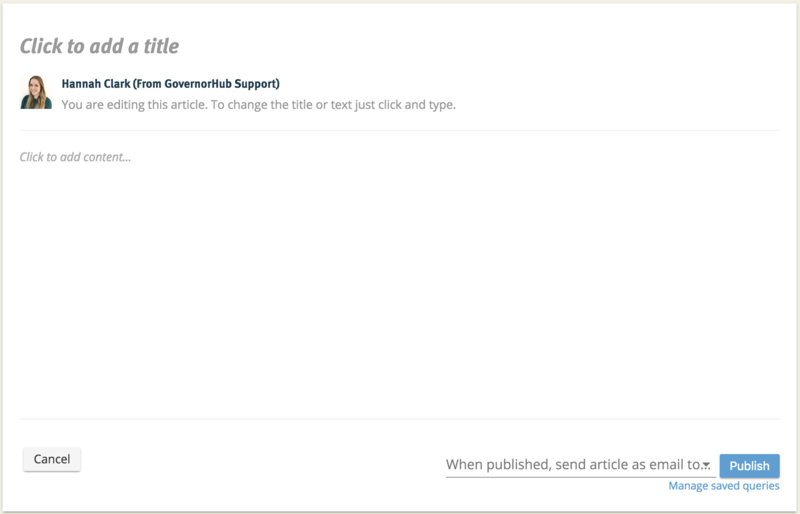 To write a news article in your service area, click on the News tab, then click on the Write a new article button. Use the editor to give your article a title and add content. 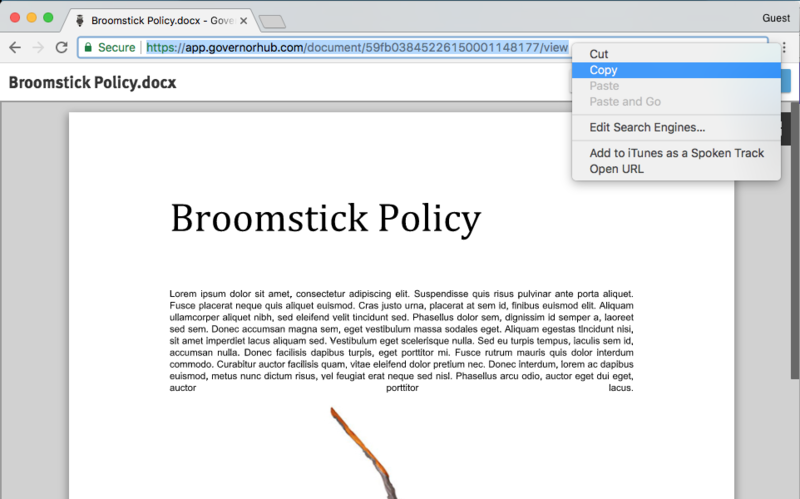 Simply type to add content, and use the dropdown menu in the toolbar to choose different styles of text. 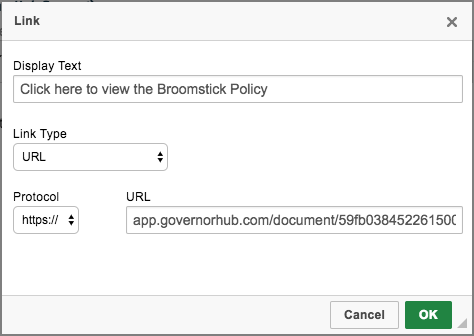 Navigate to the file you want to link and click on it to view it in GovernorHub. Highlight the link in the address bar, right-click and select Copy (or press Ctrl + C on a Windows computer or cmd (⌘) + C on a Mac). When creating a new article, click on the link button in the toolbar. In the pop-up that appears, click in the URL field and paste the link to the file (right-click and select 'Paste' or press Ctrl + v or cmd + v). This will automatically fill in the Protocol field. Fill in the Display Text field with the text you want for the link (e.g. 'Click here..'). The text will appear in blue to show that it's a link. Note: if you have already started writing your article before copying the link, simply open a new tab in your browser to view the file, then copy the link back into your article. If you navigate away from the article, anything you've written so far may be lost!